CT shows areas of ground-glass attenuation stretching predominantly along bronchovascular bundles. These represent atypical lymphocyte infiltration along the interstitium and the alveolar spaces. 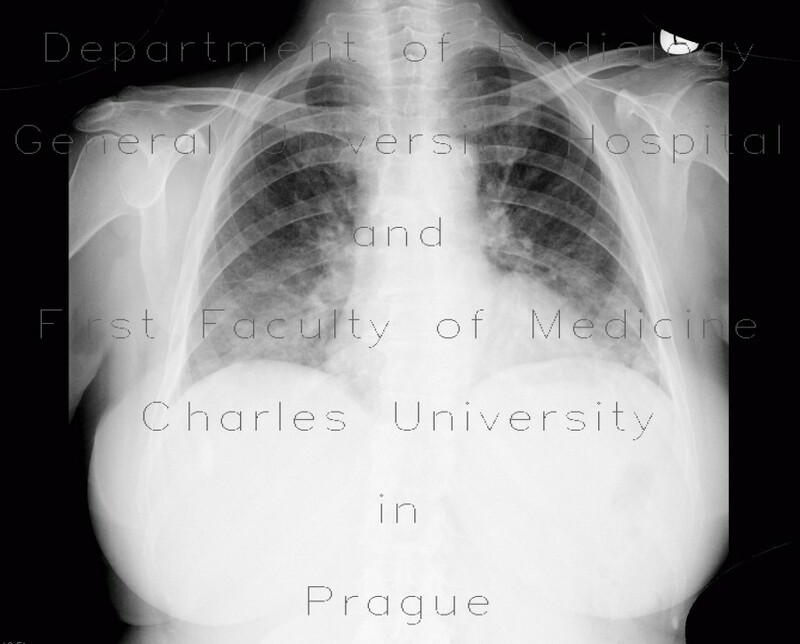 Plain chest radiograph shows increase in interstitial lung markings in both lower lung fields.